Consumer electronics giant Samsung and leading middleware software solutions provider Macrovision are teaming up to create the next generation of set-top boxes. In addition to performing conventional set-top duties such as decoding DTT and IPTV broadcasts, the next-gen set-top boxes will also be capable of finding, integrating and managing digital content stored elsewhere throughout the home. They will do this by using the Macrovision Connected Platform. It's a standards-based middleware solution endorsed by the Digital Living Network Alliance (DLNA) that enables different consumer products to interact with one another. Set up in 2003, the DLNA is an international alliance of consumer electronics, computer and mobile device companies who are working together to ensure interoperability between all products bearing the 'DLNA Certified' logo. Major DLNA players include Microsoft, Sony, Nokia, Intel, Philips, Toshiba and Samsung, although there are several hundred other signatories. Once completed, the next-gen set-top boxes will be able to connect to PCs or networked storage devices around the house. So you'll be able to use your set-top box not just to access TV, but music, picture and even video files as well. 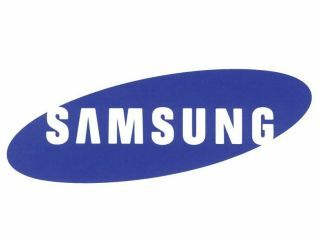 The set-top box that is currently in development by Samsung is expected to become available before the end of 2008.